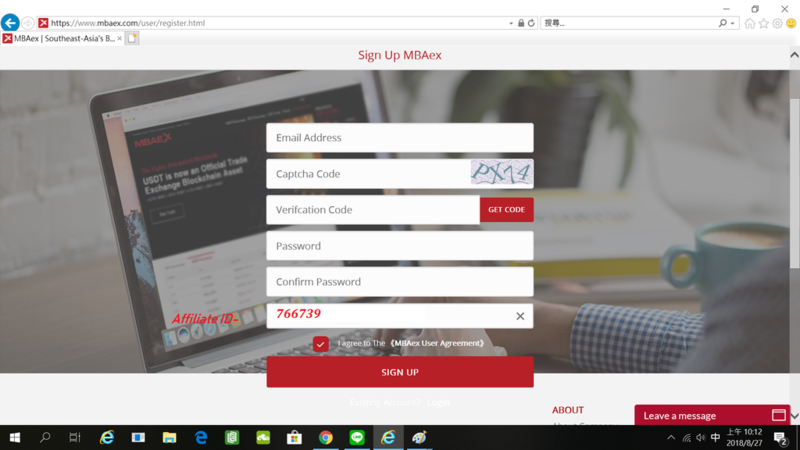 ://www.mbaex.net and select your preferred language to sign up for new account. 2. Click ‘SIGN UP’ to register for new account; choose options for registration, via either your mobile number or your email. 1.Please fill up the registration form, click on “I Agree to the" and then proceed to sign up by clicking on “SIGN UP” button. 2. At the top-left corner, click on “Account Setting”, then proceed to “SMS Auth – Bind” to bind your account to your mobile number; (or you could initialize Google Authentication binding). Click here for Google Two-factor authentication guide. 3.Select “Transaction Password – Bind” to create your new transaction password.